the Body Collection is a moisture-rich trio that embraces the natural beauty of your femininity. With blends of pure sugar cane, raw honey and hydrating cupuacu, the body collection is the softest and sweetest touch to your day. Caramelized Cane and Sugar Balm is our body retexture to gently remove dead skin cells, revealing smoother & more radiant skin with regular use. Orange Honey Bath Elixir is our body broth for glowing skin made with real organic honey. Cupuacu Sweet Cream is our all-over body nourisher. It is an easily absorbable body moisturizer with sweet notes of creme brulee. 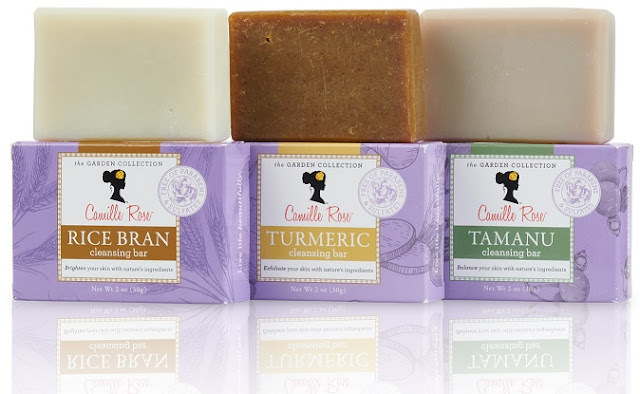 Learn more about these beauty products at Camille Rose Naturals.